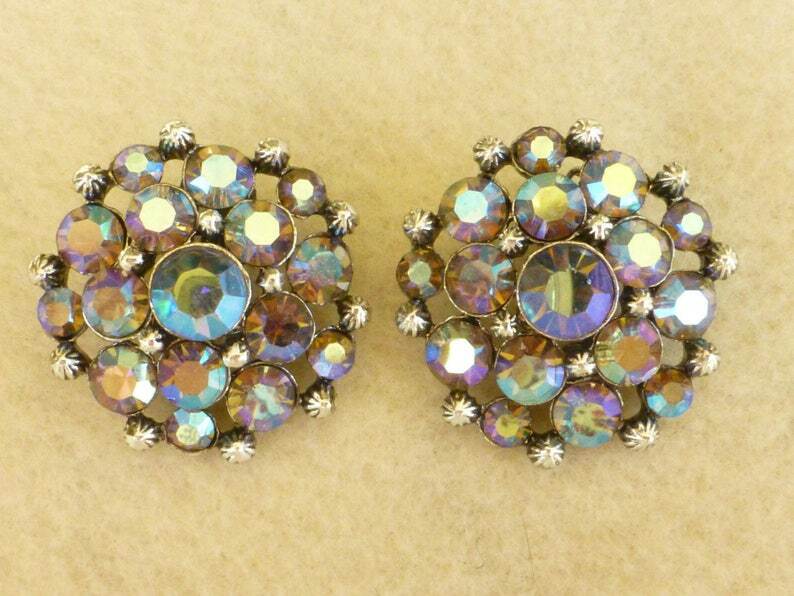 These lovely blue aurora borealis clip back earrings are signed CLAUDETTE. This was a line from the Premier Jewelry Company, Inc. NY,NY. They date from the late 1950's to early 1960's and are in excellent condition with no missing stones and no wear to the silver tone finish. They measure approximately 1-1/4" across.